March 19, 2009, occurred an event, the news of which appeared on many news sites around the world. 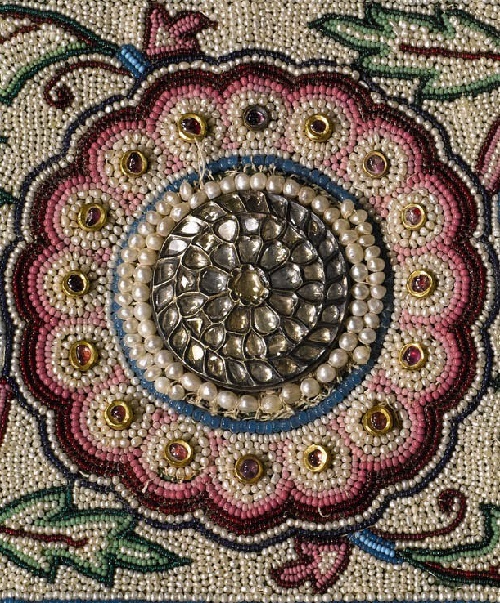 At the auction house Sotheby’s in Doha, Qatar, was sold a carpet of Baroda, a unique example of pearl embroidery. 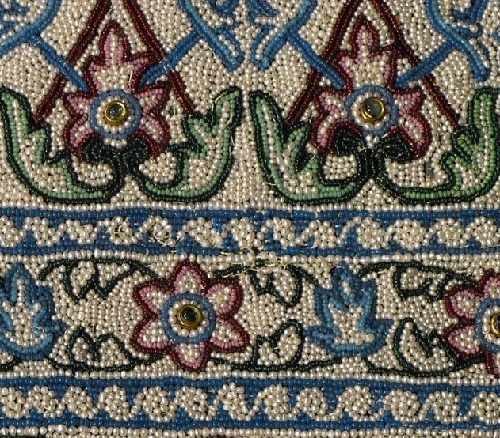 Carpet of 1,73m to 2,64m in size, embroidered with beads, pearls and adorned with precious stones – emeralds, rubies and diamonds set in gold. 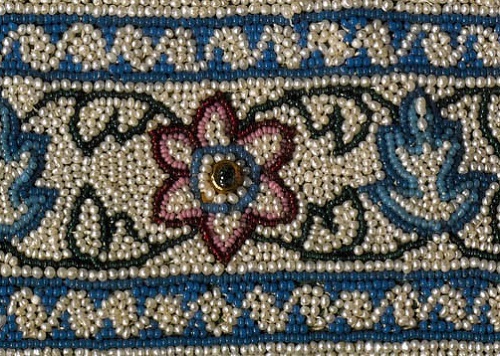 Experts estimated that for every square decimeter of carpet were used nearly 5,000 pearls and beads. 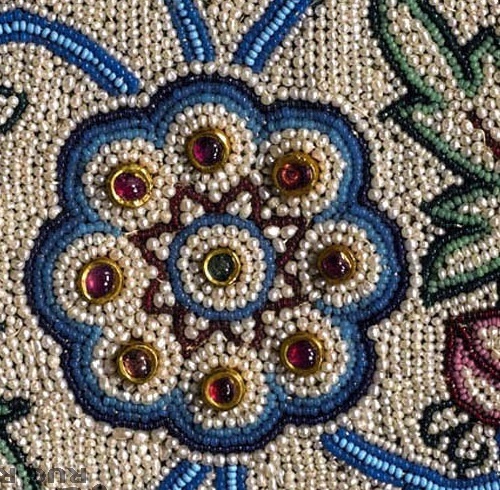 Overall, the silk fabric was embroidered with around 2.2 million pearls and beads. 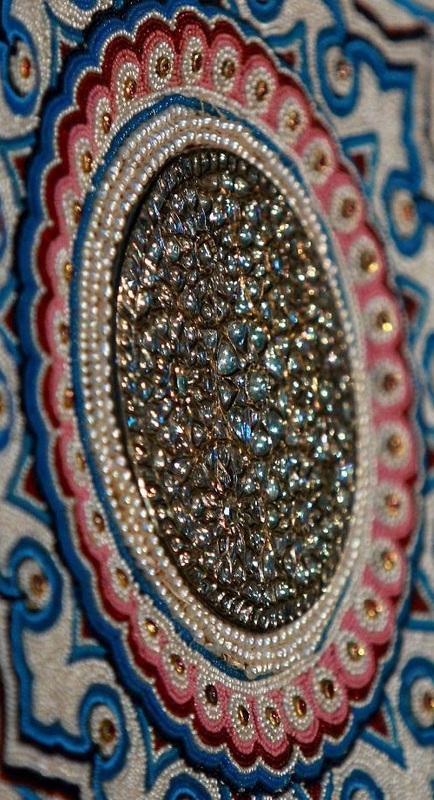 History of Baroda pearl carpet is just as amazing as it is. 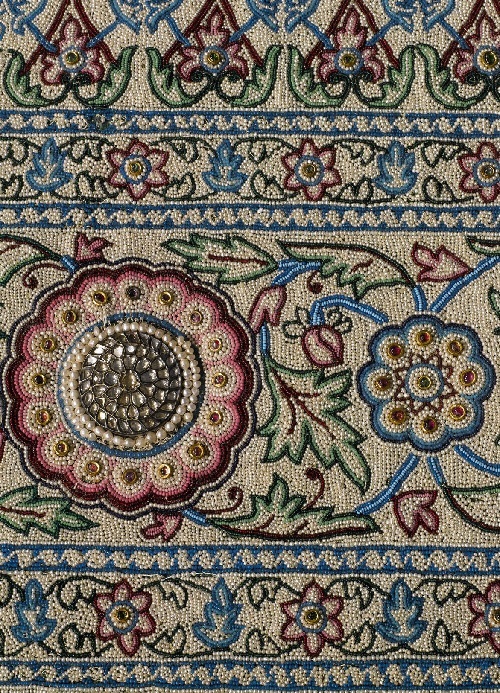 Pearl carpet was created in the early 1860s, on the orders of one of the richest Indian Maharaja – the ruler of Baroda Khanda Rao. 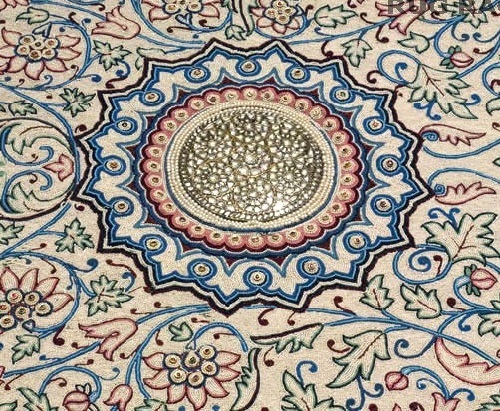 According to one version, the Maharajah vowed to bring a gift to the Prophet Muhammad, having decorated his tomb with precious carpet. The reasons for his action is not known, but according to some sources Khanda Rao got an idea from the pearl veil of the tomb of Mumtaz Mahal, the Taj Mahal (to this day the veil has not preserved). Dissatisfied “other faiths” believers (in Baroda Islam was not widespread) had no choice but to obey, and by 1865 the carpet was ready. 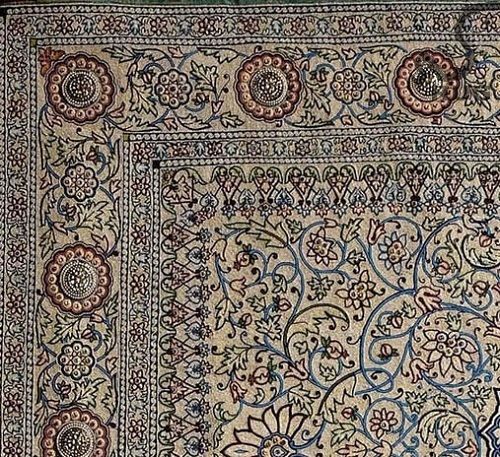 To send the carpet to Medina prevented the death of the Maharajah. And it stayed in the family under the name of Pearl Carpet of Baroda. According to the second version, the Maharajah just wanted to give a gift not to the Prophet, but the earthly woman. A gust of love was cooled down and stopped by the British governor. But this version is less popular. In the early 1940s pearl carpet left India. In 1943, the then Maharaja of Baroda Pratap Singh Geykvedom married Sita Devi (she became his second wife) and the precious carpet and most of the family jewels moved into her house in Monte Carlo. In 1947, India gained independence and the principality of Baroda was eliminated, the state of Maharajah was nationalized. 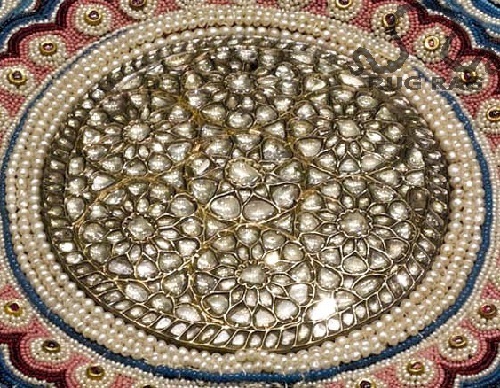 The Indian government has managed to regain some of the jewelery exported by Pratap Singh Geykvedom to Europe, but the pearl carpet of the Maharajah was not returned. 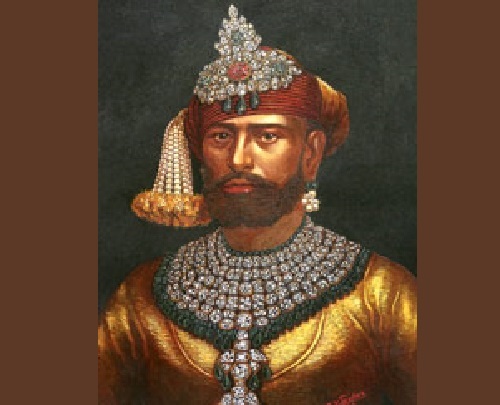 His marriage to Sita Devi ended in divorce in 1956, and 12 years later Pratap Singh died in London, leaving jewelry and Baroda pearl carpet to former spouse. For a long time the carpet was stored in a safe deposit in Geneva. Sita Devi Maharaj lived 18 years more. Further owner of Baroda pearl carpet was unknown. 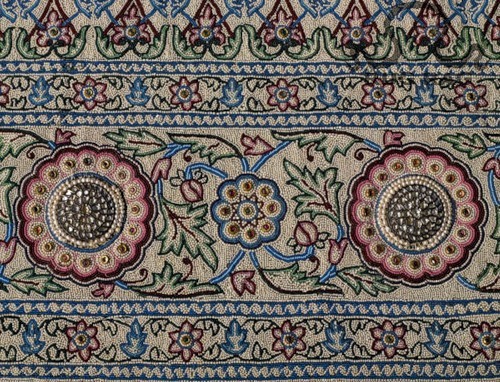 For the general public pearl carpet was exhibited a few times, at the exhibition of Indian art in New Delhi in 1902-1903, the exhibition “India” at the Metropolitan Museum in New York in 1985. And now, as I wrote above, March 19 2009, the “pearl” of Baroda was auctioned. 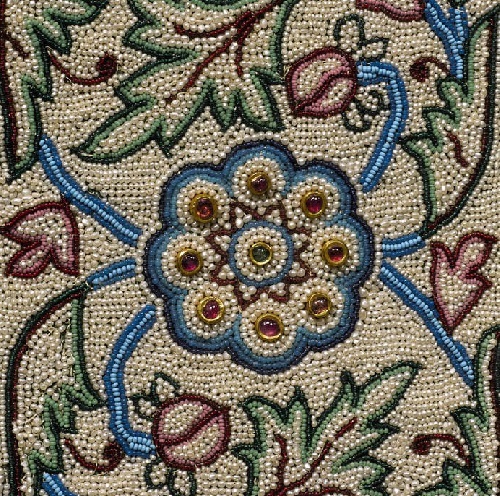 Experts predicted that the carpet would leave from the auction for $ 20 million. But the crisis has prevented their forecasts come true. 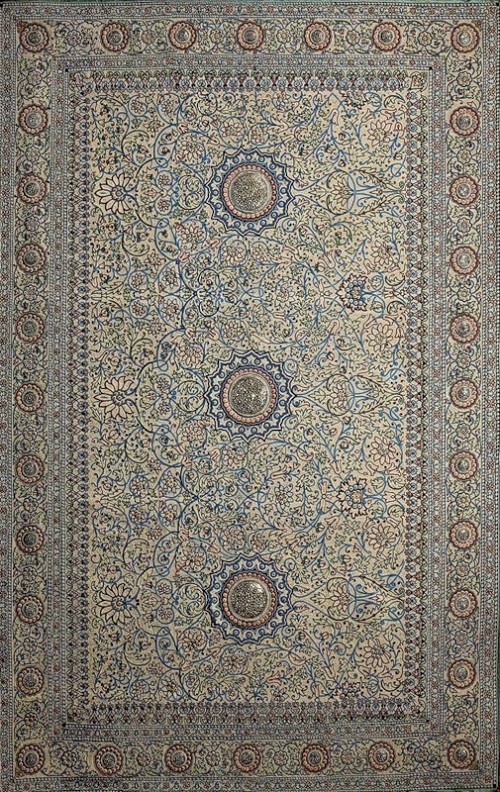 Carpet of Baroda was sold for only $ 5,458,000. Auctioneers even had to reduce the starting price for the lot: the original bids were due to start at $ 5 million, but eventually started with $ 4.5 million. And in spite of this, the Baroda pearl carpet has become the most expensive carpet in the world. The buyer’s name was not disclosed. One can only hope that someday we will have an opportunity to look at this pearl wonder of the world.